Having grown up in the shadow of the textile industry, Janet Stollnitz has always been fascinated by looms and textiles. 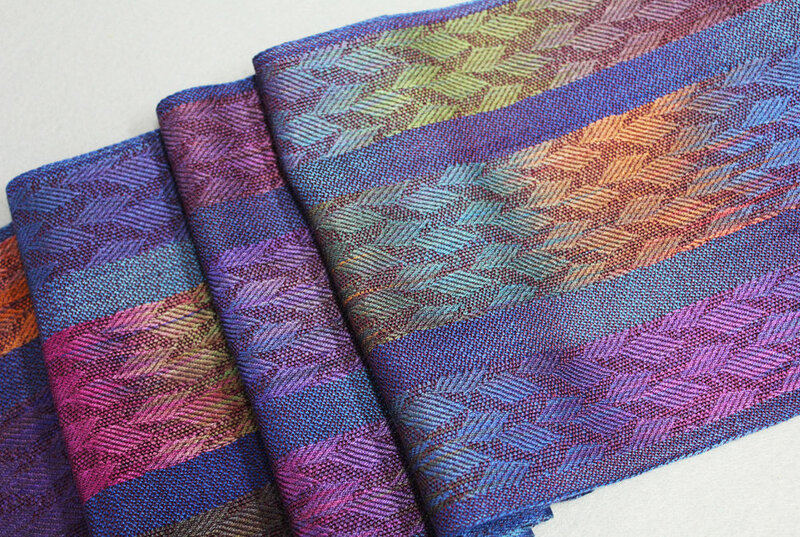 Although she started weaving as a young child, she didn't progress beyond pot-holders until she moved to the Washington, DC area in the early '70s and took a beginning weaving course. This was followed by more courses, including dyeing and other fiber arts. In 1992 Janet acquired a 16-shaft computer-aided loom, and was delighted with what she thought were the nearly limitless possibilities afforded by combining weaving and dyeing. Although she had only barely explored the design possibilities using the 16-shaft computer-aided loom, Janet recently acquired a 40-shaft computer-aided loom. Now the design possibilities seem almost infinite. For more than thirty years, she has enjoyed the exciting magic of making fibers into garments and fashion accessories. Since Janet weaves her own fabrics and dyes many of her yarns, she has total control of the interplay of color, texture, and structure in the fabrics used in her garments and accessories. Janet’s garment and accessory designs are relatively simple, perhaps better described as classic, in order to keep the fabric as the focal point. Her work has received a number of awards in both local and national exhibits, and is also in the permanent collection of the Asheville School in Asheville, North Carolina. Janet’s garments, fashion accessories and hand-dyed yarns are marketed under the Silver Spring Looms label. 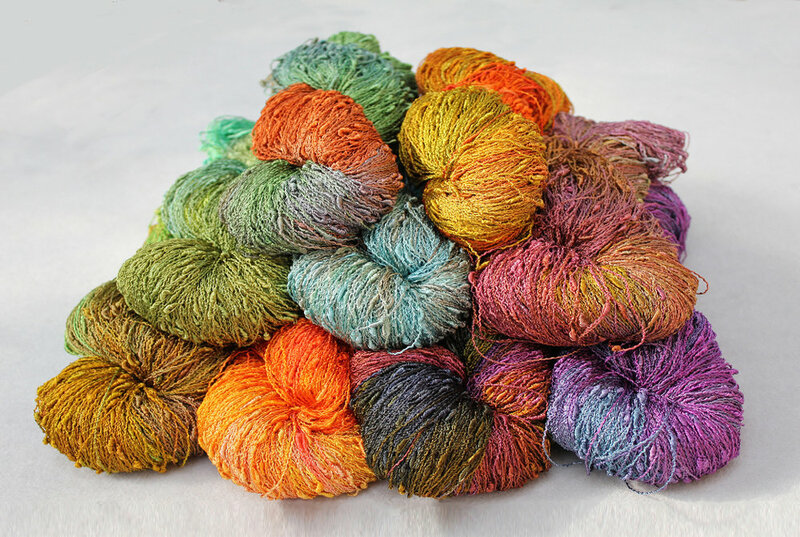 She is also a partner in Dyed Dreams, selling hand-dyed yarns.